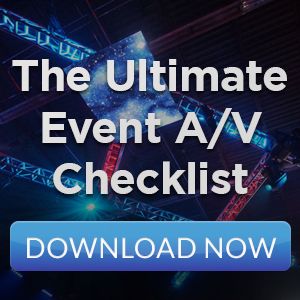 Event Production Company in NYC: What Do They Do? What Does an Event Production Company in NYC Do? Readying for a special event in a competitive market like New York or New Jersey requires more than just a killer creative idea to stand out from the crowd. Today, it requires all of the technology and expertise available to make it truly memorable. As an event producer, you have your hands full with catering, venue selection, staffing, booking entertainment, creating a unique environment, arranging staging, sound and lighting as well as promoting your event. Working with a qualified technical event production company in NYC can help make this endeavor much less stressful! Let’s look a little closer at all of the services that a technical event production company in NYC can provide for you when planning your event. 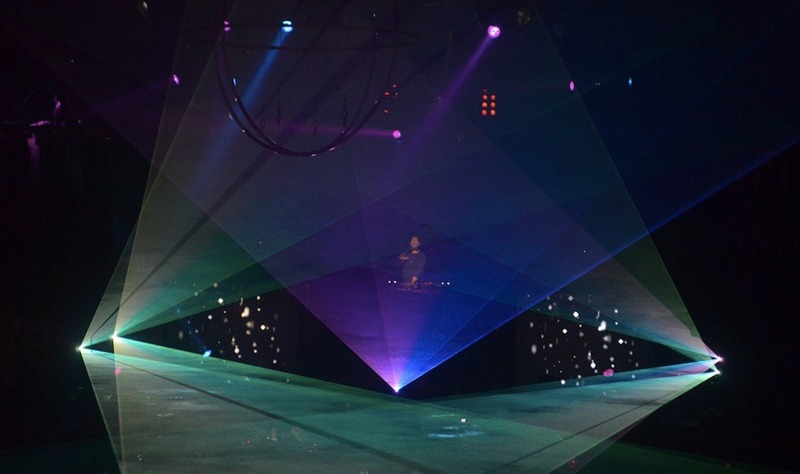 Creative lighting is critical for any show, performance, or corporate event. Lighting can not only set the mood and environment for an event, it can work to add cohesion and continuity. 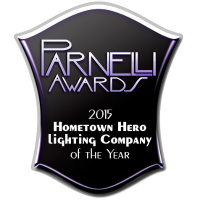 A good full-service technical event production company in NYC will work with you to develop, design and coordinate lighting before your event. They will truck-in and set up your lighting immediately preceding your event as well as provide support staff and lighting operators during your event and tear down and remove lighting after your event. They will not only have the necessary equipment, but will also have the creativity and staff on hand to make your lighting an integral part of your event while keeping an eye towards aesthetics and your overall goals to ensure consistency. A qualified technical event production company can offer either stand-alone video services, or include video as part of a larger package. They will have access to the latest cutting- edge technologies and the expertise to operate it. From LED screens of various resolutions and sizes to playback and switching system, they have the professional grade equipment needed to make sure all your content is presented beautifully. Along with the equipment, set-up and design, they will have a highly qualified staff of operators to ensure your video component is perfectly suited to your goals and aesthetic vision. Staging can be as simple as a podium for a speaker, a small stage for a wedding or elaborate enough to drive a car onto, or hold a large band or performance. The key lies in setting up a stage safely that is suited to your event’s goals. The safety of the performers and your audience depends on attention to detail. When you choose a technical event production company in NYC, they can help you with not only your staging needs but the other elements needed to pull off your event. Providing integrated lighting, sound, and video will give your event t the punch it needs to stand apart. Providing your artists and audience with crystal clear audio is an important factor in any event. Poor audio quality can leave your audience hearing nothing more than unintelligible garble. This could mean leaving fans disappointed when they miss the lyrics of their favorite song, or taking the power away from your keynote speaker at a conference. A technical event production company in NYC will ensure that you only have the finest sound quality. There are many components that go into an effective audio system, from selecting the correct speakers and control system to providing qualified technicians to operate it. With live audio, a number of unforeseen issues could arise and that’s where working with a qualified technical team can save the day! They’ll load in, set up and operate the gear, plus they’re on hand to troubleshoot and repair any unforeseen issues that could arise. They’ll get it done right. Most events require rigging of some kind. Whether building a structure to support the lighting, sound and video components or making sure that all hanging within a venue is done correctly and safely, rigging is of the utmost importance. . When you need to hang thousands of pounds of steel above the heads of your performers and guests, you want a company that is prepared to provide rigging with an eye towards safety and regulatory compliance. 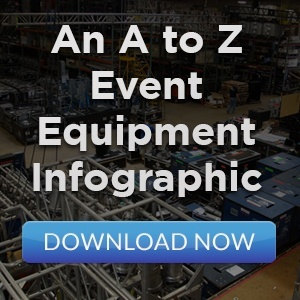 A qualified technical event production company will have an inventory of rigging equipment and truss available to handle any sized job or production. They will also be able to work with, or provide production riggers trained in the expert and safe installation of equipment . They should also have a deep knowledge of the building codes, engineering requirements and permitting needed to accomplish the task not only safely but also in compliance with local laws and regulations. For your next special event, consider hiring and working with a qualified technical event production company in NYC. They can help design and create an event using all of the technological and creative resources available to help you achieve your creative vision safely, and on budget. Their knowledge and expertise can help you to achieve a cohesive aesthetic while offering continuity and flow to your event. No matter if you’re arranging a wedding for 100 guests, a conference for 1000 attendees, or a rock concert for 40,000 screaming fans, working with a qualified technical event production company is a smart move. 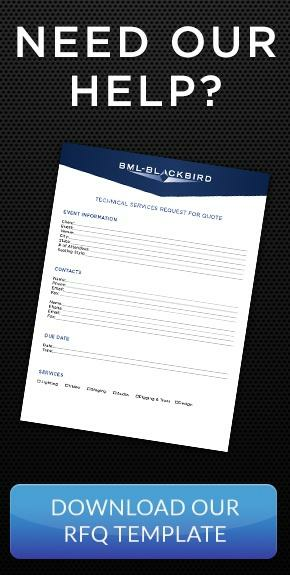 If you’re planning an event in the New York or New Jersey market, BML-Blackbird is the partner you need. 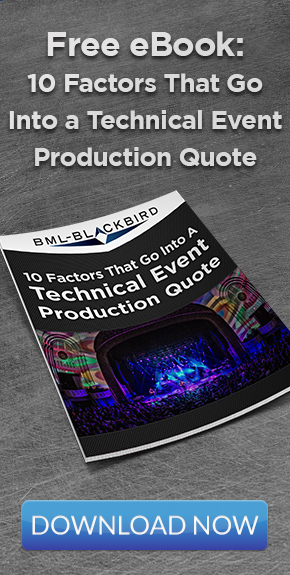 With extensive experience providing technical support for thousands of events, BML-Blackbird can handle every aspect of your technical event production. From designing systems, lighting and sound, to providing the latest state-of-the-art technology and expert technicians. As a leading technical event production company throughout New York and New Jersey, we offer not only the latest technology, but a team full of highly creative individuals with different personalities, specialties and experiences all linked together by a deep passion for their jobs. With a depth of knowledge, unique creativity and the experience that comes from years of working in a competitive market, let BML-Blackbird bring our award-winning technical expertise to your next special event.